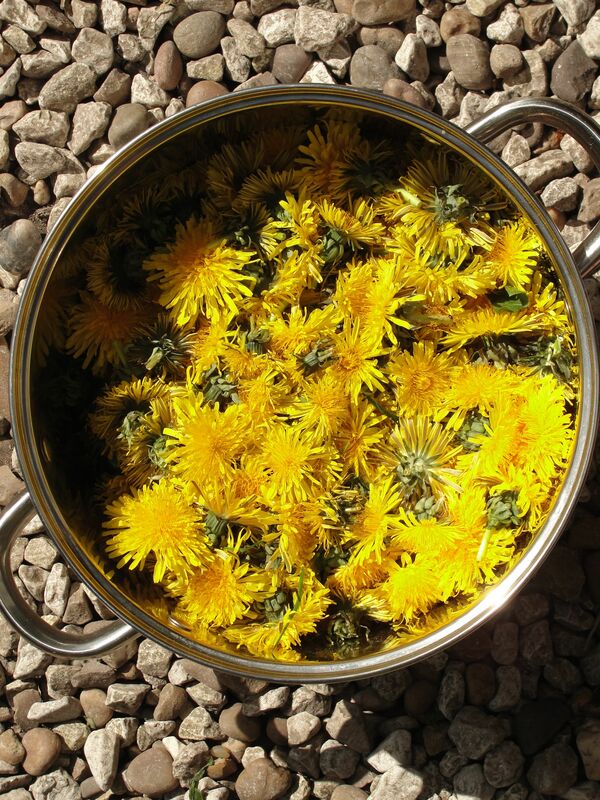 Earlier in the year I did some dyeing with dandelions & cochineal. 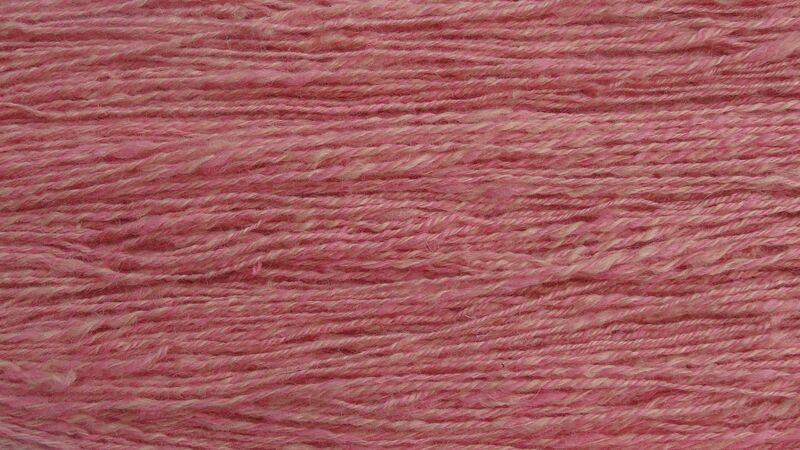 On the quest to create the perfect sock yarn; (perfect for me is squishy, warm & hardwearing.) 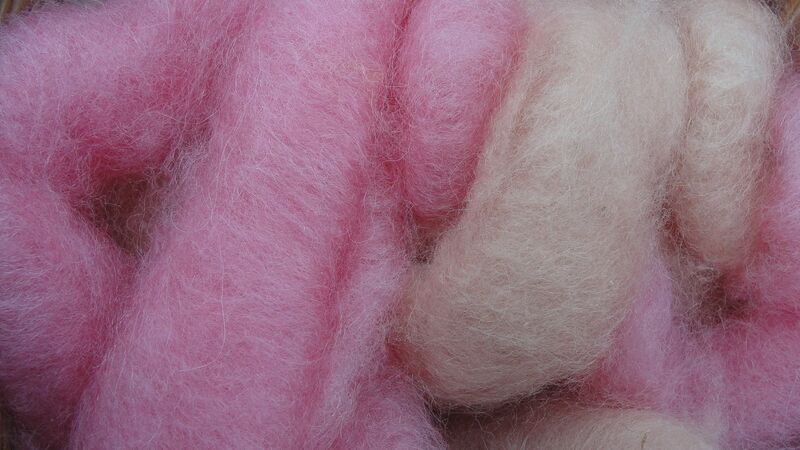 I am working with a blend of Blue Faced Leicester wool – lovely soft & strong, baby Alpaca for warmth & silk for strength. 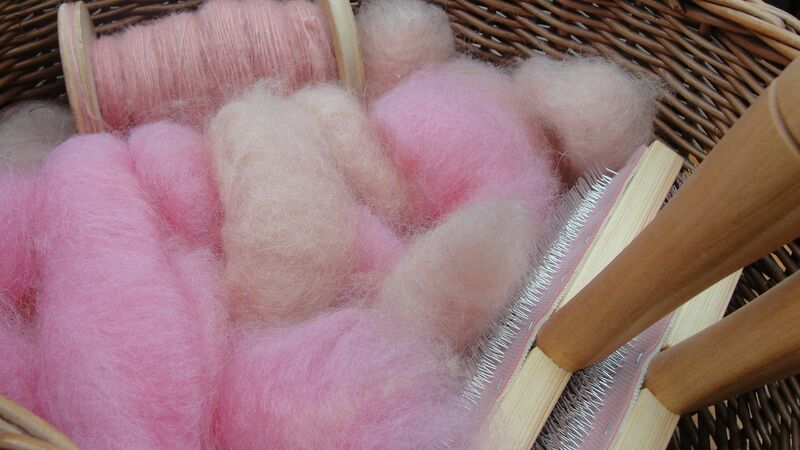 I dyed the fibre in three batches – pure cochineal for a bright pink, half cochineal & half dandelion for a tender peach colour and mostly dandelion with a touch of cochineal for a pretty pearl shade. The fibre was carded and was spun long-draw for a lovely cushy single, then three plyed for what i hope will be a long-lasting sock yarn for toasty toes!